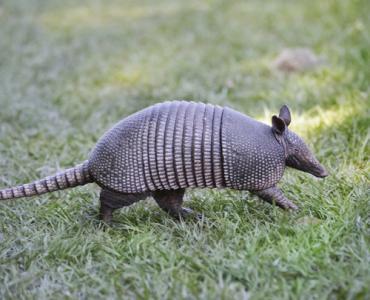 When Lee County, Georgia resident Larry McElroy recently spotted an armadillo in his backyard, he took a typical approach for his area to get rid of it. These animals are notorious for digging up and destroying yards and so he shot at it. While McElroy's aim was spot on, his target was not the only thing he hit. You see, McElroy's bullet ricocheted off the armadillo's hard shell, hit a fence, went through the back door of his mother-in-law's mobile home and through the recliner she was sitting in - ultimately wounding her in the back. While the shot proved fatal to the armadillo, there was the unintended consequence of hitting an additional target due to the force of the high caliber shot. Lee County's armadillo headcount was reduced by one, but the scope of his solution was greater than necessary for the job at hand. Just as McElroy's mother-in-law was an unintended victim in this man's war against armadillos and the damage they inflict on property, community banks have been the unintended victims of the stringent lending requirements that were put in place following the credit crisis. According to a report from Harvard that examined the state of community banking, there has been a noticeable correlation between the enactment of Dodd-Frank rules and the decline of community banks' overall assets. During that period, community banks with assets between $1B and $10B have seen assets fall an average 12%, while community banks with assets of $1B or less have experienced an average 19% decline. One area where community banks have been hit particularly hard is in mortgage lending, where industry-wide activity remains down 10% since Q2 2006. Though community banks still underwrite roughly 25% of the loans that comprise the $1.8T residential mortgage market, the burden of regulatory requirements has had a visible impact, with small community banks suffering most. Larger community banks have experienced a slight increase in mortgage lending activity since Q2 2010 (up to 12.6% vs. 11.2%); while community banks < $1B have seen a decline in mortgage lending (down to 12.4% vs. 13.7%). Fortunately, the CFPB is aware of the impact its ability to repay rule has had on the mortgage lending activity of smaller banks. It is hoping to undo some of the damage by easing rules and allowing community banks, credit unions and small mortgage lenders to make loans to borrowers with higher debt levels. Under proposed changes to the rules, a larger number of banks and credit unions would be able to meet small lender qualifications, allowing them to take on loans they are currently not able to originate. Also interesting, the CFPB was joined in late May by the Senate Committee on Banking in passing The Financial Regulatory Improvement Act of 2015. This 216-page bill no longer requires small lenders and community banks to meet the same capital requirements and cumbersome regulatory oversight as larger banking peers. Under the proposed bill, the mortgage rules created by Dodd-Frank would be loosened, with changes including an increase in the benchmark for systemically important financial institutions to $500B. Other proposed changes would include the ability of community banks to reclassify most of the loans in their portfolios as qualified mortgages, enabling them to meet the CFPB's ability to repay requirements. McElroy learned that when shooting an armadillo, using too much firepower can lead to collateral damage. In banking, it seems regulators are also realizing some regulations may be too much firepower for community banks. Treasury yields rose 2 to 3bps after an FOMC statement which held no surprises, reinforcing the likelihood of a Sept rate increase. Q2 GDP is up for another revision, unemployment claims and inflation as measured by Core PCE. 1) Union Federal Savings and Loan Association ($108mm, IL) will acquire First Federal Savings and Loan Association of Kewanee ($64mm, IL) for an undisclosed sum. 2) Suncrest Bank ($195mm, CA) will acquire Sutter Community Bank ($66mm, CA) for about $9.4mm in stock (100%). A researcher with Zimperium zLabs finds a flaw in Android's Stagefright code critically exposes 95% of Android devices to hackers sending malware to any user via text message. Be careful community bankers out there and as soon as patches become available be sure to load them and encourage customers to do the same. A survey by Deloitte assessing global risk management practices in the financial services industry finds institutions use stress testing to enable forward-looking assessments of risk (86%), feed into capital and liquidity planning procedures (85%) and inform setting of risk tolerance (82%). The IMF warns US community banks may be affected more than large banks when interest rate hikes occur, because many have extended asset maturities at the same time liability maturities have shortened. The IMF suggests US regulators should update regulations around interest rate risk as a result. A regulatory review paper that looked at bank failures during the most recent crisis found many banks identified as having high levels of CRE concentration levels either failed or saw their market valuations decline. Banks are reminded by regulators that interagency guidance could subject banks to further analysis if their loans for construction, land and land development (CLD) are 100% or more of total risk based capital OR total non-owner-occupied CRE loans (including CLD) are 300% or more of total risk-based capital AND the non-owner occupied CRE loan portfolio has increased by 50% or more during the previous 36 months. A Deloitte report on middle market company perspectives finds economic growth this group projects over the next 12 months breaks down as follows: : > 3.5% (36%); 2.0% to 3.5% (39%); 0.0% to 2.0% (20%); no growth (4%) and negative growth (1%).